OMG Posters! 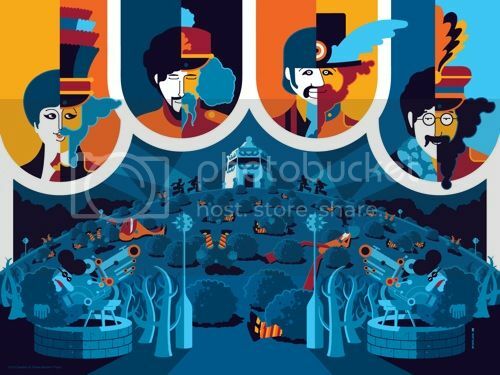 » Archive Yellow Submarine Art Print Portfolio by Tom Whalen (Onsale Info) - OMG Posters! 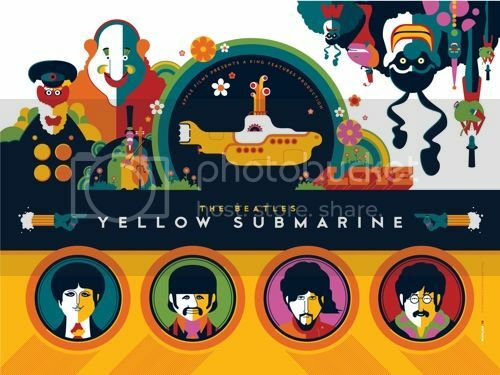 Dark Hall Mansion will release this beautiful Yellow Submarine box set in about a month’s time. 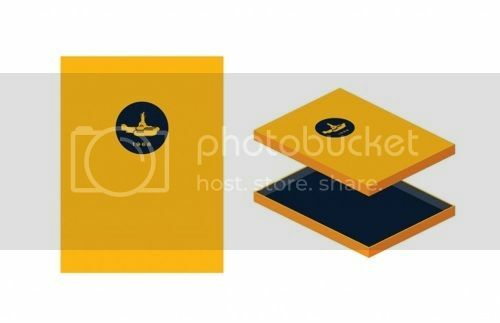 The set includes five 18″ x 24″ screenprints by Tom Whalen, all housed in a yellow portfolio. The regular version will have an edition of 797 and will cost $300. There will also be a variant set (different colorway) with an edition of 135 for $450, plus a third colorway (“Elite ’68, created with metallic inks) with an edition of 68 for $675. These all go up for sale on May 29th (I’ll write a new post as we get closer to the date). Get more info at DarkHallMansion.com. Nice, must be the best thing that Whalen and DC have ever done and may consider this if I get some cash by then (likely hood of that is remote with the amount of stuff Mondo is releasing!). I’m not sure of what the pint is of putting it in a box though unless you are never going to hang them and just keep them in cupboard. 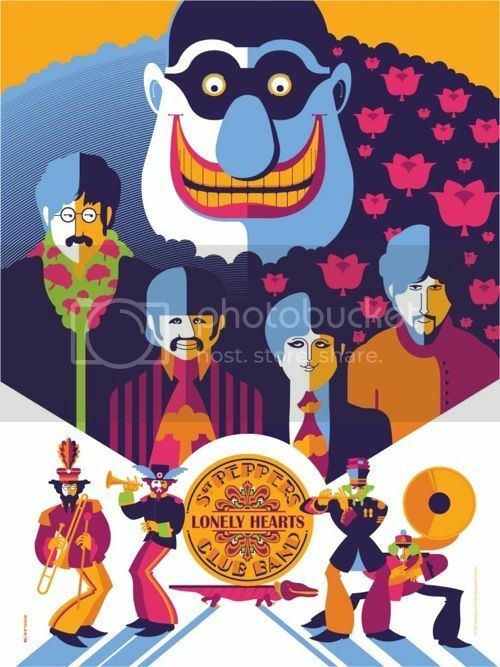 Very big edition too, must be excepting beatle mania on this one ! 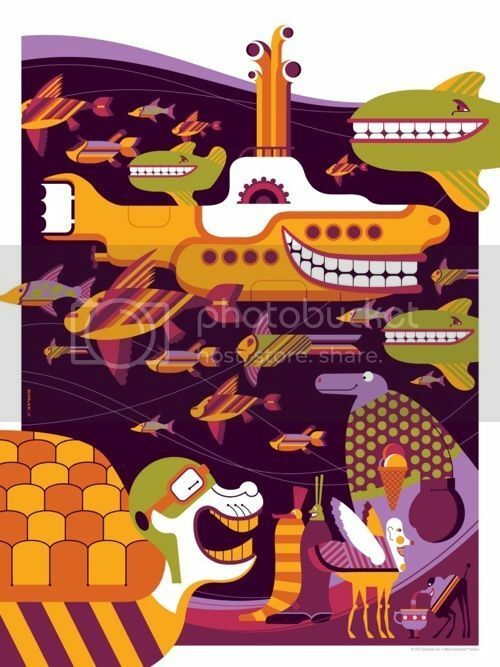 And yes, I think this is the one print set that is really suiting Whalen’s style. Ugh… really? And THREE different versions? How about a sparkly hologram paper variant too? Just had my mind blown. 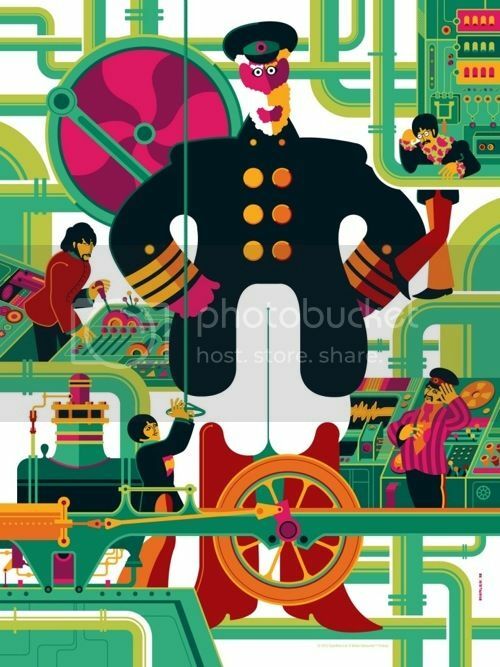 Pretty cool and telling that the very talented artist, Ken Taylor, is posting above right here in this coumn as being impressed with Tom’s art on this project! Love, Love, Love….Love, Love, Love…. These are great! Tired of variant editions though. My favorite Whalens thus far! These will look great behind my desk.